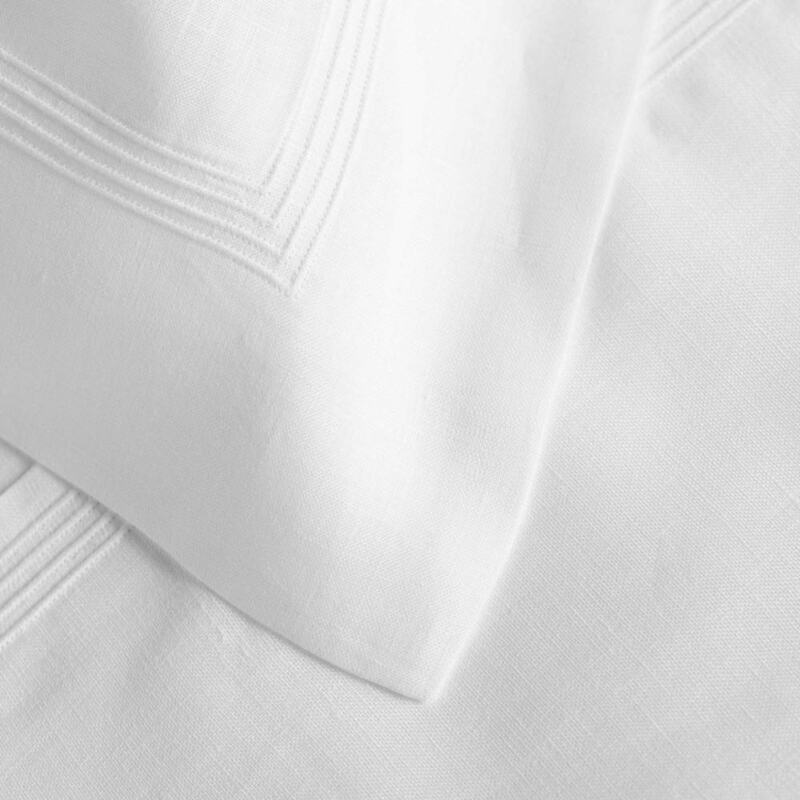 Very finely woven Italian Linen with a smooth crisp finish and trimmed with three rows of pin tucking. Made from the flax plant, this linen is renowned for its long wearing properties. With careful laundering these linens will soften with age to a beautiful sheen.